Since formation, City have generally fielded a reserve side, some seasons, even 2 sides. In 1968, City first fielded a youth team. Whilst the overarching aim of both reserve and youth football is to provide players for the first team, in recent years, selling players has contributed to City's very survival. At times, especially in the early years, the teams were supplemented with local, non contracted, players, at both reserve and youth level to make up numbers. Given this, it has sometimes been difficult for teams to gell, sometimes they only meeting in the dressing room before matches. Indeed, between scoring hat tricks for the intermediates in 1987, Iain Dunn missed other games due to "local commitments". The current York City Football Club was founded in April 1922 and entered a side in the Midland League in the 1922/3 season. The following season, a reserve side was formed and they played in The Yorkshire League as well as competing in local competitions. In 1931, the reserves moved to The Midland League, it was a wider geographical spread and included games against reserve sides of more league clubs. For the 1934/5 season, for financial reasons, the reserves reverted to The Yorkshire League where they remained until re-joining The Midland League in 1947. There is also evidence of an earlier York City reserve side joining The Yorkshire Combination Leaguein 1912/3. In 1938, as the first team reached Round 6 of the FA Cup, the reserves lifted the Yorkshire League Championship, eclipsing 1931 and 1937 when they were runners up (1937 on goal average). With regional football ending in 1958, reserve team football also underwent a re-vamp. City’s reserves entered the new North Regional League. It was essentially reserve team football for the lower league clubs whilst the north’s bigger clubs’ reserve sides entered The Central League. City remained here until 1966 when reverting to the Yorkshire League (Division 2), gaining promotion in the first season, followed by immediate relegation in the next season (1967/8). In summer 1968, the reserve side was scrapped and an intermediate (Youth, under 18) side entered the Northern Intermediate League. In 1969, the reserve side was re-instated, meaning for the first time since 1955 did City field 3 teams. In August 1984, City joined the Central League, completing in Division 2. At the time it covered the north of England and was the highest level of reserve team football. The Southern Combination was the equivalent league in the south. In 2009, Martin Foyle disbanded City's reserve team due to financial constraints during the first non league era. It was not re-instated until 2016 under Jackie McNamara. Yorkshire League. Some fixtures were not played, for example, in the 1927/8 season, both games against Methley Perseverance were postponed and not re-scheduled. In 1930/1, City finished runners up. Win Yorkshire League League Cup with a 4-0 win over Leeds United "A" at Boothferry Park (Hull). 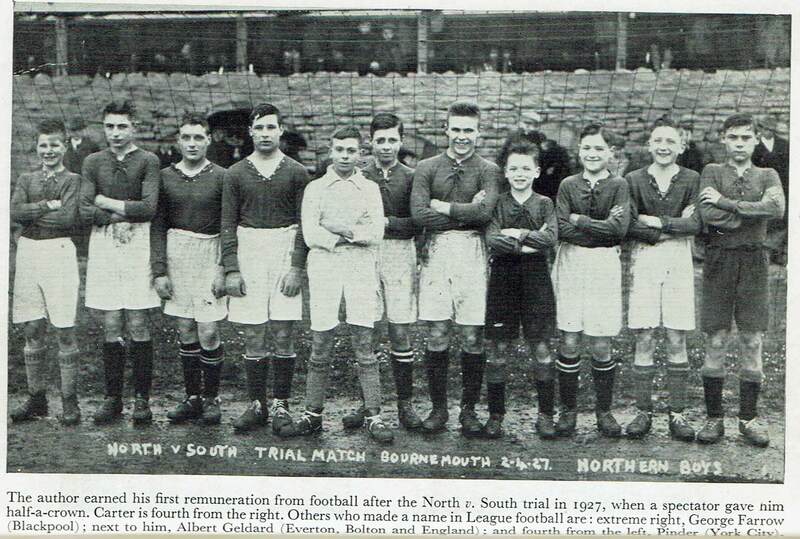 Win NRSC for the first time, beating Middlesbrough3-0 at Ayresome Park (07/Apr/50). First time a 3rd team entered in Yorkshire League. 24 teams, fairly equal mix of FL and non league sides covering Wisbech, Kings Lynn and Corby to Scarborough and including Notts F and Hull. Finish lower mid table with Bainbridge as top scorer. North Regional League – 17 teams, FL reserve teams. Struggle in bottom 4 all seasons. North Regional League. Leave at end of season. Yorkshire League (Division 2). 16 team Yorkshire based league, including Bradford City, Doncaster Rovers and other traditional non league teams. Enter Bootham United in the York Sunday League. Under the guidance of Ron Spence, the young side won promotion in their first (and only) season. Yorkshire League (Division 1). 17 team Yorkshire based league, with City as the only FL club. 5 (five teams), details unknown. Reserves promoted to Pontins Division 1. Last season of reserve team football. The season included a game against a strong Leeds side. Subsequently, Leeds were to use Bootham Crescent for home games until problems with the waterlogged pitch. Whilst young players have always progressed to the first team, it was 1968 when a scheme for apprentice professionals first appeared. City formed an Under 18 side and entered The Northern Intermediate League. City struck lucky as Chris Topping was City’s first apprentice professional. Over the years, it has produced a number of players who went onto be prominent first team players, including Brian Pollard, Cliff Calvert and John Byrne in the first 10 years. After a fallow period, the 1990s were a golden period. Graeme Murty, Jon Greening and Richard Cresswell who graduated and earned City massive transfer fees. Subsequently, another fallow period followed. For many years, the youth set up has relied on unsung (and often unpaid) volunteers working under the youth manager. After his retirement through injury, Ricky Sbragia has probably enjoyed most success as our Youth Team Manager. His side reached the quarter finals of the FA Youth Cup in 1993. He subsequently took up a similar role at Sunderland before progressing to manager. Later, he enjoyed 2 spells with Manchester United as reserve and Under 23 team manager. One trait of City's youth set up has been fielding a side at the bottom of the age range, often one or 2 years younger than their opponents, the idea being to develop players against older opposition in readiness for progression to the professional ranks. The Northern Intermediate League was based around Yorkshire, North East and Humberside clubs, its origins can be dated back to as early as 1947/8. Strangely, a Wolverhampton Wanderers side, based in Wath competed in the league (and Sheffield Amateur League) in the mid 1950s, presumably in an effort to tap into a wider talent pool. Prior to this, talented local youngsters had progressed through local non leagaue football before joining York City. The 1950s was a golden era with the likes of Colin Addison, Mick Granger, David Dunmore and Barry Jackson all signing for City from local amateur football. Of the local clubs, Cliftonville were at the forefront and provided a number of talented youngsters. Born within 2 months of each other in 1954, Brian Pollard, Mike de Placido and Cliff Calvert all played for England Youth and progressed through City’s youth intermediate side before making their City debuts. Pollard and de Placido on Good Friday 1972. Calvert followed soon after. Pollard and Calvert made names for themselves with City before enjoying top flight careers at Watford and Sheffield United respectively. Both earned City £30,000+ fees when they left us. It wasn’t until 10 years later that home grown youth players made a real impression on City's first team when John Byrne and Gary Ford were key players in City’s 1984 Division 4 Championship winning team. City had to wait another 10 years for the next wave of youth, Graeme Murty, Richard Cresswell and Jon Greening. They netted a near £3m in transfer fees. Subsequently, there has been a relative dearth of talent rising from the youth ranks to first team. Adam Boyes was the only junior City sold for money during the 2004-12 non league years. However, it must be noted that 2 youth graduates, David Stockdale and Byron Webster were released by City after short first team careers but have gone onto enjoy considerable success at clubs playing in leagues above City. Equally, youngster Jamie Hopcutt was released by Gary Mills in 2010 after gradutaing throuth the youth ranks and signing a professional contract. Within months, with no reserve side, he was released. Subsequently he has enjoyed a successful career in Sweden with Ostersunds. 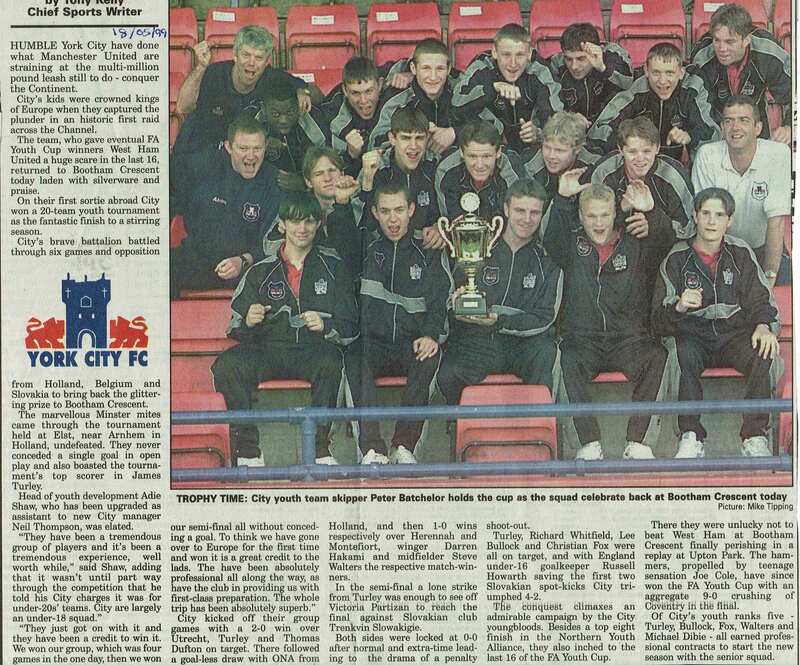 Between 1992 and 2006, the Youth Development Fund supported City’s junior sides and junior supporters, raising over £170,000 before it was wound up. Additionally, for many years, City's promising youngsters have been expected to contribute financially to their time with the club, in such ways as paying their own travel expenses, matchday expenses and general fundraising. 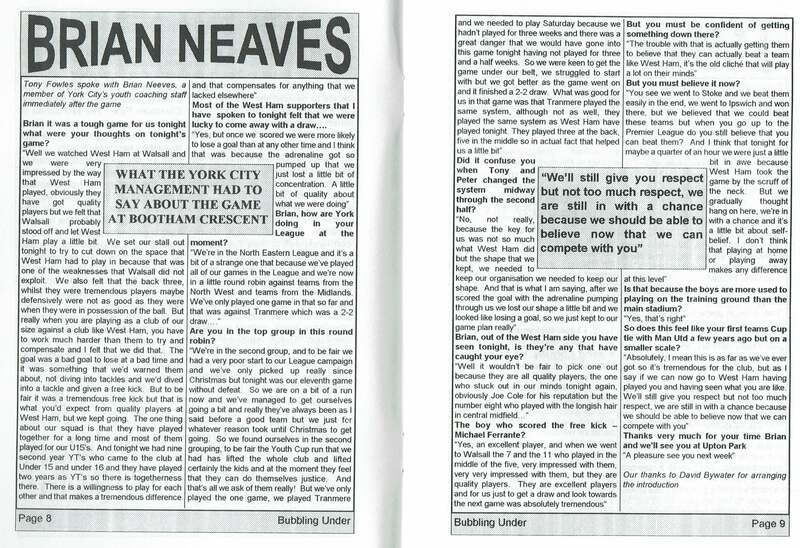 In November 1998, at a fans' forum, Keith Usher noted the difficulties a club like City had holding onto their youth talent. In 1994, 14 year old Curtis Woodhouse moved to Sheffield United for a £2,000 compensation fee. His next move was to Birmingham for one milion pounds. Usher noted City had lost 6 other youth players including 2 who went to Nottingham Forest with City receiving just £7,000 in compensation. Subsequently, City profited from the sales of Tom Allan, Ben Godfrey, Sam Fielding, Ryan Edmondson and Gabby McGill. An initial £200,000 fee was quoted for Ben Godfrey. It and subsequent sales appear to have been heavily weighted towards lucrative additional payment clauses as the players progress in the game. Earlier, in June 2016, City netted £40,000 in compensation when Under 14 striker Cole Kiernan moved to Sunderland. By 2018, 2 years after our relegation from The Football League, EPPP funding (worth £260,000 a year if City committed £130,000) and protection dried up, meaning any player under 17 player could move on without Cty receiving any compensation. Vinnie Steels, in August 2018, being the first high profile example when he moved to Premier League Burnley. As the realities on National League North football took hold, for 2018/9, the youth set up was revamped. City dropped out of the EPPP programme and re-grouped. The youth set up moved to an Under 19 format, effectively giving first year professionals an extra season of football to bridge the gap between men and boys football. Footnote: One friend recalls he was training 2 nights a week with City as a young teenager in the early 1970s. It was a regular occurence to see the coach call a player aside, take him into the dressing rooms, never to be seen again. My friend was hooked one evening and told his City careeer was over. First entry into The Northern Intermediate League. 18 team league including the big 3 from the north east, Leeds, and most of the other senior Yorkshire teams plus Grimsby, Chesterfield and Wolves. 3 players(Chris Topping Chris Dale and John Andrews) also play in the first tam during the season. Brian Pollard got on the score sheet for the first time. Young side struggle all season with Bobby Tasker finishing as top scorer with 12. Cliff Calvert got on the score sheet for this first time. City fielded a 3rd team, an Under 16 side in The Yorkshire Conference League under Barrie Tait. The team lasted just one season. FA Youth Cup quarter finalists, City's best ever performance in the competition. Wins over Newcastle, West Bromwich Albion and Leyton Orient set up a quarter final at Old Trafford against Manchester United. The home side, boasting David Beckham, Paul Scholes, Gary Neville, Keith Gillespie, Robbie Savage, John O'Kane and others won 5-0 in front of 4,937. United lost in the final to Leeds. Of the City team, Graeme Murty, Scott Jordan, Andy Warrington and Elliott Simpson progressed to our first team. Ricky Sbragia coached City's side. 93/4 and 94/5 - successive 2nd places in Northern Intermediate League. 2nd season on goal difference, pipped by Newcastle. City reach the last 16 (Round 5) of the FA Youth Cup with wins over Stoke and Ipswich (City took a full size supporters' coach to the game before winning the replay). A near 1,000 crowd saw City draw 1-1 with West Ham in Round 5. Christian Fox scored an 86th minute equaliser with a 25 yard shot before being sent off in the last minute. From the subsequent penalty, City keeper, John Mohan, saved Michael Carrick's attempt to earn City a replay. City lost the replay 5-0 at Upton Park. West Ham fielded Michael Carrick, Joe Cole and Steve Bywaters who all enjoyed long professional careers. For City, Christian Fox and Lee Bullock enjoyed decent careers whilst Marc Thompson and James Turley played for City's first team. West Ham went on to win The FA Youth Cup that season. By now, City's league had been renamed the North East Conference League. In May 1999, City's Inter team won a prestiguous competition in Holland. 10 Football League Youth Alliance north-east table. For many years, City have fielded a side in The North Riding Senior Cup, usually a reserve side, but sometimes a full first team have has been fielded. For details see York City in the NRSC. Only shows City juniors (e.g. Dean Kiely was not a City junior but gained full international honours with the Republic Of Eire). For season 2016/7 and onwards, please refer to City History and the seasonal review links for reviews of City's reserve and youth teams' seasons.